The city of Peshawar lacks an organised system on all major fronts. Each successive government gives hope by promising relief. However, the promises go completely silent thereafter. There is no respite for a commoner. In the backdrop of the recent reduction in oil prices, the fact that people undergo hardships while travelling through public transport is rather abysmal and thus, increases the public’s misery manifold. According to public statements made by the authorities concerned, fare for transport is calculated in relation to petrol prices. Why then, is there a hike in fares when gas stations remain closed due to violence, as they always do in various cities across Pakistan? 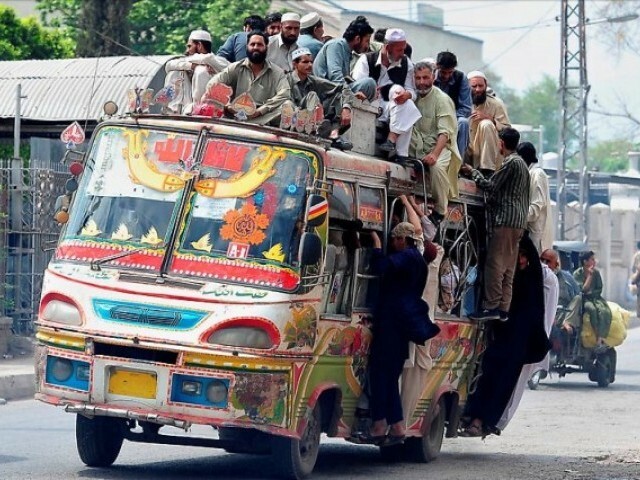 Such strategies are distressing for the unprivileged, especially in a city like Peshawar where a large segment of the population relies on public transport. On some routes, people have to wait for hours before boarding a bus. Moreover, the bus drivers operate in a way that in case of longer distances, one often has to use multiple buses. Hence, coughing up even more money. It also seems that transport seems to vanish after dusk and people remain stranded and helpless as to how to get home. Such instances leave only option ─ a taxi that makes rigorous bargaining over the fares inevitable. Even then, taxis are unaffordable. One can’t determine the fare per kilometre due to the absence taximeters. Obviously, the local administration continues to avoid a rather pressing problem and this reflects their poor governance. It is not as if the task of prescribing a price per kilometre for petrol is a mammoth challenge that our authorities are so averse to undertake. Doing so would make economic sense and would ensure that money is not siphoned off in unlikely hands (such as the gas station owners) because there will be uniformity in amount that’s charged. Unfortunately for the people of Peshawar though, there is no relief in sight while the situation become more unbearable.